for $295,900 with 3 bedrooms and 2 full baths. This 1,983 square foot home was built in 2014 on a lot size of 0.2496 Acre(s). Immaculate 3 bedroom+den home, on an oversized corner lot. Many upgrades in this Edison floor plan- an island kitchen with granite countertops and stainless appliances, 42' trimmed wall kitchen cabinets with under cabinet lighting, separate den with engineered wood flooring, tray ceilings in the Master, master bath, main living area and foyer, recessed lighting throughout the home, large laundry room with custom cabinets and laundry sink. Master bath has granite countertops, garden tub and walk in shower. Also custom paint, blinds and shutters, 8' doors, high baseboards, updated tile on floors, gutters, upgraded landscaping and expanded driveway. There is a power outlet in the living room floor, so no tripping over lamp cords! The pavered screened lanai opens to an extended patio with lake views.The garage guys will love this garage! It has a commercial grade floor coating, pull down stairs and built in storage. 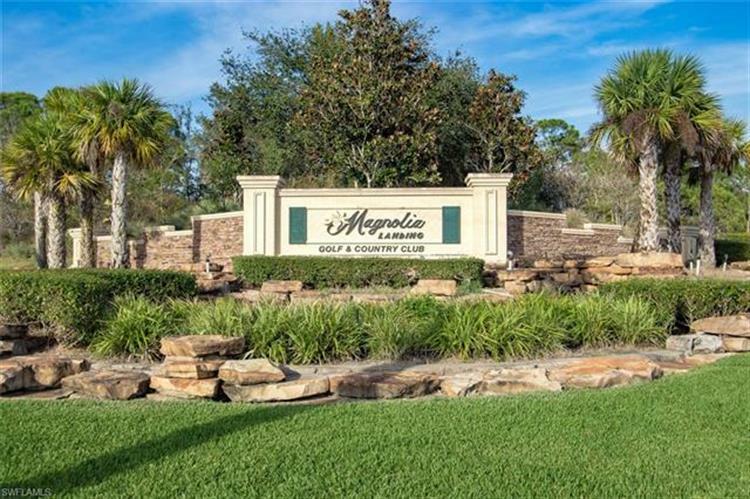 Magnolia Landing offers optional golf membership or pay as you play golf. Everyone can dine at the restaurant and enjoy the clubhouse, tennis, fitness center, and a new resort style pool and bocce are underway! 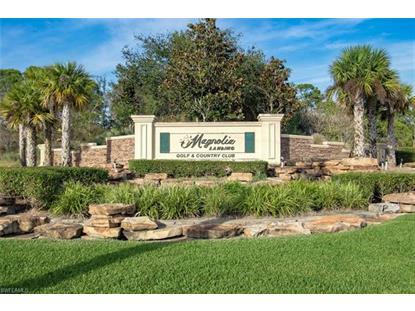 Lawn care is included in the low HOA fee!